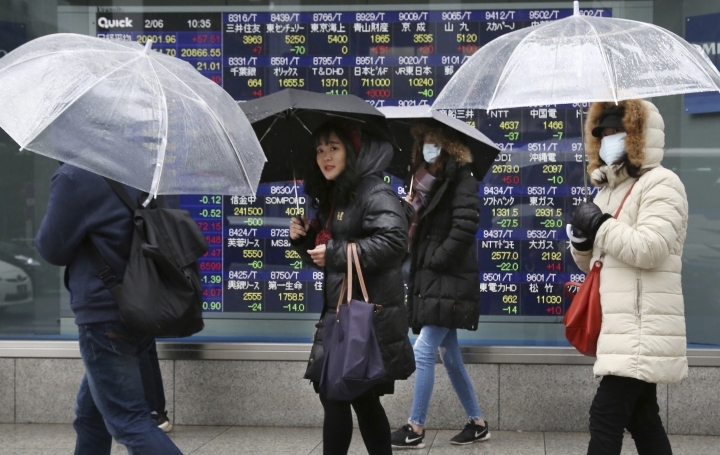 BANGKOK — Shares have advanced in Asia following a rally on Wall Street led by technology companies. There was little if any immediate reaction to President Donald Trump's State of the Union address. 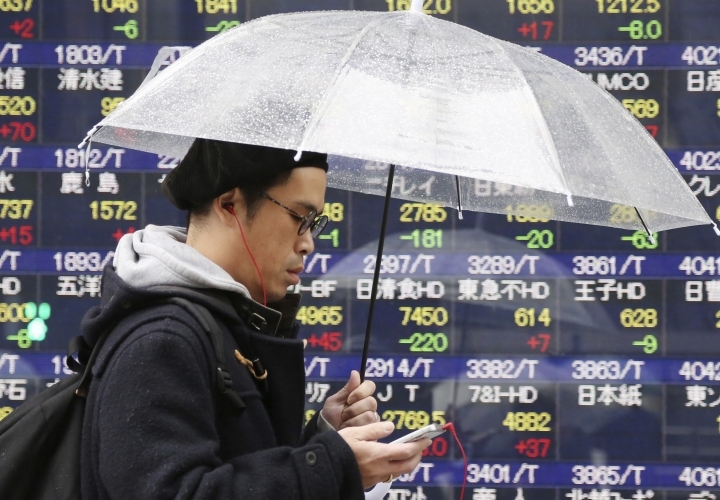 Japan's Nikkei 225 index gained 0.4 percent to 20,921.05 early Wednesday. Australia's S&P ASX 200 also climbed 0.4 percent, helped by buying of banks' shares, to 6,030.90. Markets in Hong Kong, mainland China and most of Southeast Asia were closed for lunar new year holidays. The overnight rally in U.S. markets, supported by strong corporate earnings, extended the benchmark S&P 500 index's winning streak to five days. More than 68 percent of companies reporting earnings in the S&P 500 beat analyst forecasts during the most recent quarter. Those results, in part, helped drive the market's best January in 32 years. CHINA-US TRADE: Positive sentiment has been supported by reports from Washington, citing unnamed sources, that say U.S. Trade Representative Robert Lighthizer and Treasury Secretary Stephen Mnuchin plan to travel to Beijing next week for the next round of talks aimed at resolving trade and technology-related disputes that have led to both sides imposing tariffs on billions of dollars' worth of each other's products. WALL STREET: The S&P 500 index added 0.5 percent to 2,737.70. The Dow Jones Industrial Average gained 0.7 percent to 25,411.52. The tech-heavy Nasdaq composite added 0.7 percent to 7,402.08 and the Russell 2000 index of smaller companies picked up 0.2 percent, to 1,520.23. ENERGY: U.S. crude oil added 7 cents to $53.73 per barrel in electronic trading on the New York Mercantile Exchange. It fell 1.6 percent to settle at $53.66 per barrel on Tuesday. Brent crude, used to price international oils, picked up 4 cents to $62.02 per barrel. It slid 0.8 percent to close at $61.98 per barrel in London. 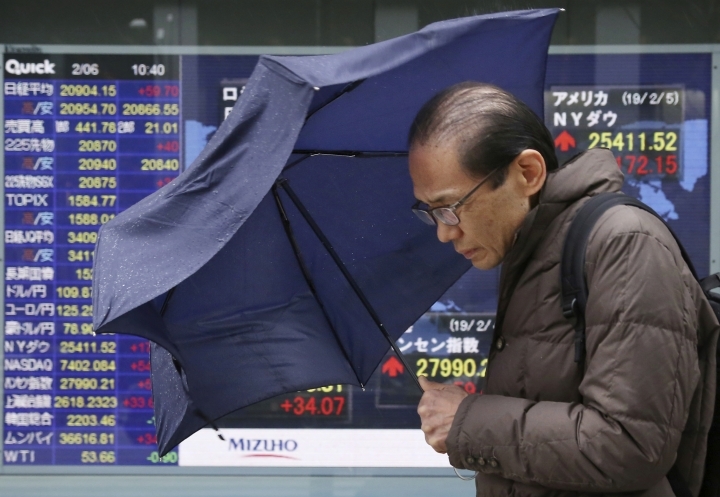 CURRENCIES: The dollar slipped to 109.80 yen from 109.96 yen on Tuesday. The euro weakened versus the dollar to $1.1399 from $1.1405.